Plug 6 is a high-quality socket strip, which is covered by a stylish case made of powder-coated steel. 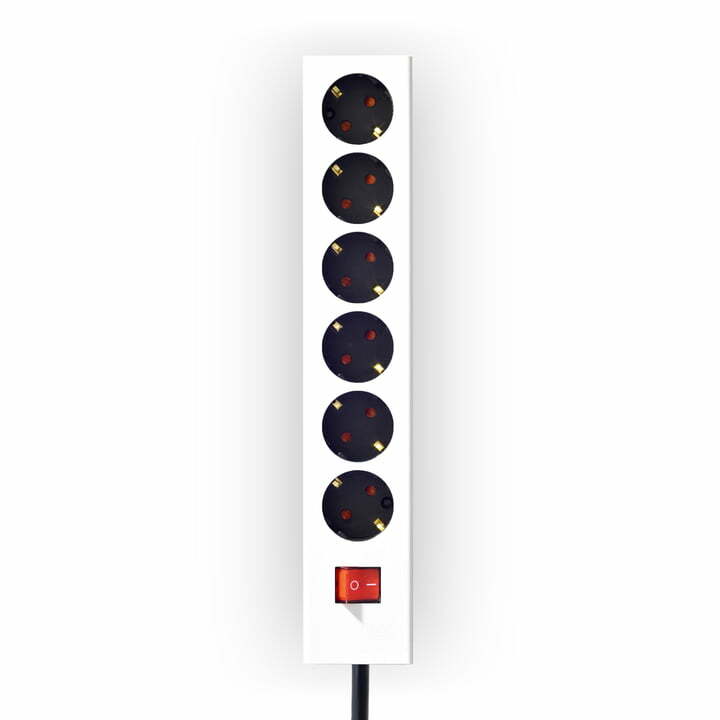 The multiple socket strip was designed by Roman Luyken for Peppermint Products and is an eye-catcher in every room at home compared to traditional power strips made of plastic. An on/off switch on the Plug 6 helps to reduce energy consumption, since supply is cut off to every device connected to it. Rubber feet prevent the strip from slipping. The multiple socket strip is equipped with a 1.5 m long plastic coated cable and thanks to two holes in the rear panel also suited for mounting on the wall or a table. While the steel casing is available in gaudy colours, the outlets and inlet is kept in simple black. The multiple socket strips are produced in a workshop for people with disabilities in Germany. Einzelabbildung der Plug 6 Mehrfachsteckdose ummantelt mit einer stilvollen Hülle aus pulverbeschichtetem Stahl. Die Mehrfachstecker sind mit einem 1,5 m langen Kunststoffkabel ausgestattet.